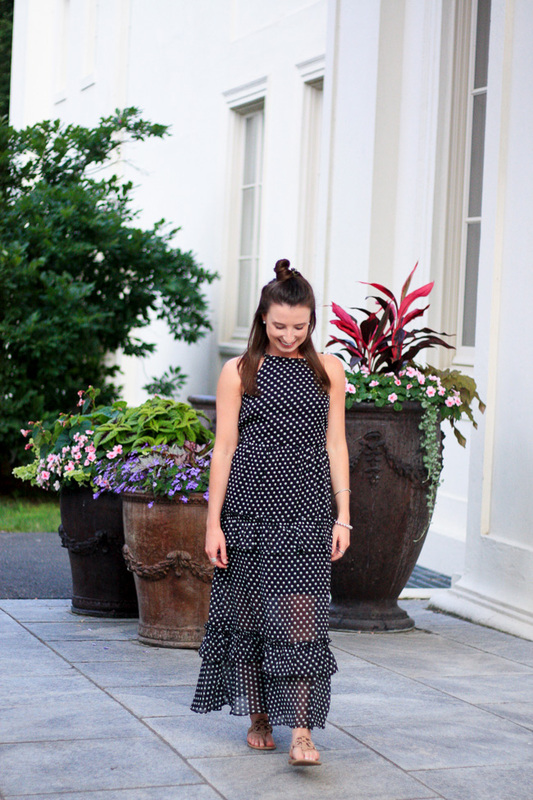 A pretty polka dot print is a classic, one of my favorites, and definitely something you should have in your wardrobe. 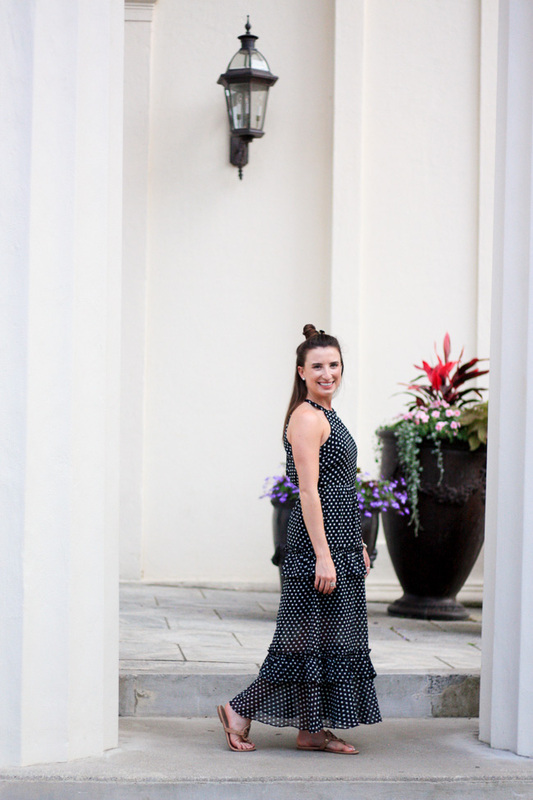 Polka dots have been a part of my wardrobe for as along as I can remember, so it's no surprise that I was instantly drawn to this dress. 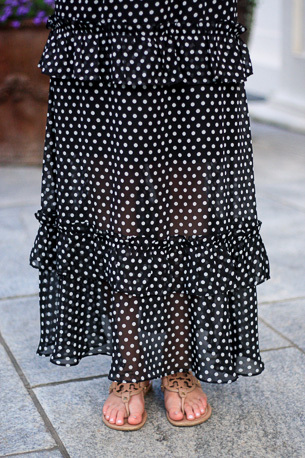 Between the polka dots, ruffles, and pretty bow-tie back, I was sold! Believe it or not, I ordered this dress way back in April and just got around to wearing it - this is when you know you have too many clothes! I just love how versatile it is, and know it will be a go-to for many years to come. 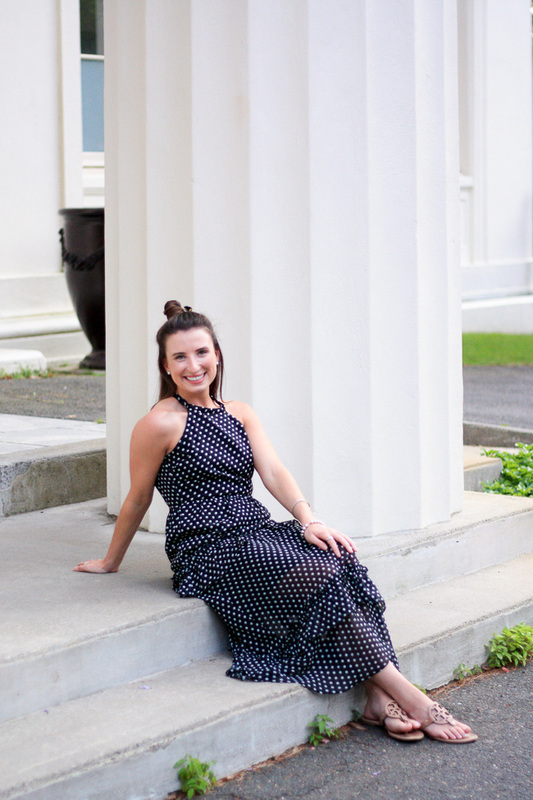 There are so many different occasions it can be worn for, from weddings to showers, or even just a date night. I think everyone needs a dress like this on hand. 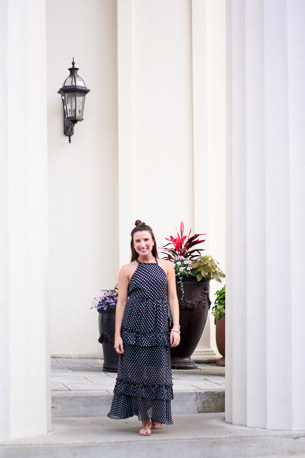 Polka dots are flirty & fun, but equally timeless and put together, so it really is perfect for whatever the occasion might be!